The Fair Labor Standards Act, commonly known as the “FLSA,” requires covered employers to pay their employees time and one-half their regular rate of pay for each and every hour worked over Forty (40) in a work week. For employees whose normal pay is not based upon an “hourly” rate, their regular rate requires calculating all of their compensation into an hourly rate. Certain incentives, such as commissions and non-discretionary bonuses, may also need to be considered when calculating the overtime rate. While most private employers may not substitute “comp time” for overtime wages an employee has earned, and thus should be paid, some government employers are permitted to provide their employees with time off benefits instead of paying overtime wages. Regardless of whether employees receive their wages through a salary, an hourly rate, a draw, a production rate (a piece rate), or commissions — or even a combination of these or other types of pay – the FLSA requires covered employers to pay overtime wages for each and every hour worked over Forty (40) in a work week. Paying “straight time” wages for overtime hours worked – being paid the same hourly rate even for hours over Forty (40), often in cash. Paying only a salary – just because you are paid a salary doesn’t mean you too aren’t entitled to overtime compensation. Working in the title of a “Manager,” “Supervisor,” or “Foreman” but performing the same, or similar, job duties as other non-exempt workers on the job. Requiring employees to perform work “off the clock” at the beginning or end of your work day. Paying commission wages – even most employees who are paid partially, or entirely, through commissions are often entitled to overtime pay for hours worked over Forty (40) in a week. 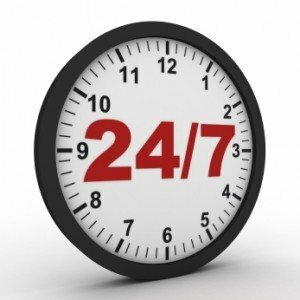 Providing “comp time” benefits in lieu of overtime wages – the law generally prohibits private employers from giving employees “comp time” instead of overtime compensation for hours worked over Forty (40) in a week. And remember that you cannot waive your right to overtime – it’s the law! Not being paid overtime wages which result from time an employee spends traveling from one job site to another during the course of his/her work day. Being misclassified as an “Independent Contractor” despite performing the job duties that an employee does. Commissions and/or bonuses not being calculated into the overtime rate which the law requires. However, the FLSA does exempt some categories of employees and businesses from the law’s overtime pay requirements. The Shavitz Law Group, P.A. can help you determine what your rights may be in light of the specific facts at your current job, or at any former job within the past three (3) years, so if you believe were not paid overtime wages for all of the hours you worked, or have other questions about your pay, contact us today.